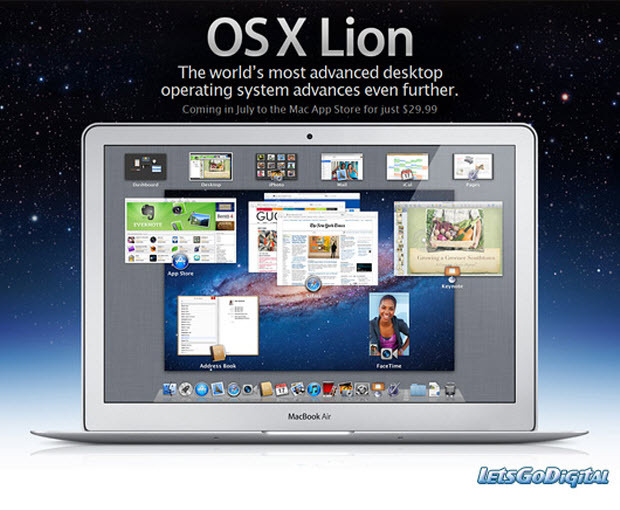 Lion is the latest version of Apple's Mac OS X, which for Mac desktops and laptops. It is available as a digital download from the Mac App Store for just $29.99. This is the first time that Apple has released an update to its operating system as a download-only. "Lion is the best version of OS X yet, and we're thrilled that users around the world can download it starting today," said Philip Schiller, Apple's senior vice president of worldwide product marketing. "Lion makes upgrading a Mac easier than ever before; just launch the Mac App Store, buy Lion with your iTunes account, and the download and install process will begin automatically." Mac OS X Lion has more than 250 new features and some of them will change the way you use your Mac. This week, the multimedia software company MacXDVD Software has updated all their products to keep abreast of the market change. Their MacX DVD Ripper Pro and MacX Video Converter Pro are the first ever and the best Mac Lion based DVD ripper and video converter that boast user-friendly interface and powerful converting capacity to convert DVDs & videos with original quality and fastest speed. MacX DVD Ripper Mac Lion works as an ultimate DVD backup and ripping software, helping Mac Lion users play their favorite DVD movies on Mac Lion by simply converting DVD movies to any other files like MP4, H.264, MOV, FLV, AVI, MPEG, M4V etc on Mac Lion. This Mac Lion DVD ripper can also support output DVD movies to other applications like iMovie, QuickTime or portable devices such as iPod, iPad 2, New iPad, iPhone 5/4S, Samsung Galaxy S3, Samsung Galaxy Tab, HTC One X/S/V, HTC Desire, HTC Sensation, HTC HD7 etc. It will constantly upgrade to assist in decrypting and ripping DVDs so as to handle all your DVD backup requirements for any new protected DVDs. MacX Video Converter Pro is especially produced for running on Mac OS X Lion to manage all popular video file, like convert video among WMV, AVI, MPEG, MOV, FLV, MTS, M2TS, MOD, TOD, 3GP, MP4, RM, RMVB, HD video as well as convert any popular video file for playing on well used iPod, iPad, iPhone, Apple TV, Blackberry, PSP, PS3, and other mobile phone serried including Nokia, Samsung, HTC, etc. This video converter for Mac Lion can also help you download videos (HD videos supported) from YouTube, Myspace, Metacafe, Google Video, and many other video-sharing sites, working on Lion system at a super high speed, not bring you much bother waiting around the machine for a long period. Just new to Mac OS X computers and wondering what apps to install? Look no further than our list of best Mac apps 2017, which covers everything you need do on Mac.